Let’s face it, you either love Benefit or hate them and I have to say I’m coming down on the side of love. 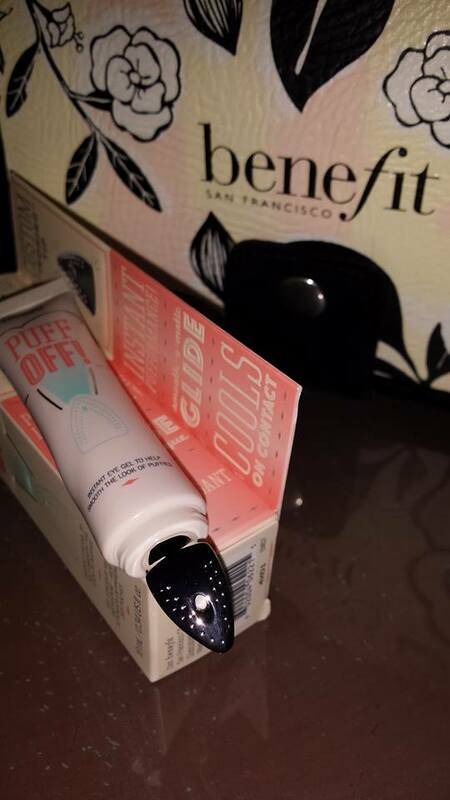 At the launch of Benefit’s Roller Lash Mascara about six months ago I was also given some of the new Puff Off eye gel. As you would expect this aims to reduce puffiness under the eyes – iron the are out as it were. Benefit of course have designed innovative packaging with an iron-shaped applicator. Now I’m not one for puffy under eye areas – I’m more likely to get lovely blue shadows under my eyes instead. However, I’ve been using this for the last week to find out what it’s like. First things first, it’s nice and creamy and not too heavy. It’s not white either, instead the cream is flesh coloured which I think gives a tiny bit of coverage under the eye. It also doesn’t dry out the sensitive under eye area which I find many eye creams can do. It does actually work like an iron – I found I looked a couple of years younger because the wrinkles were smoothed out. 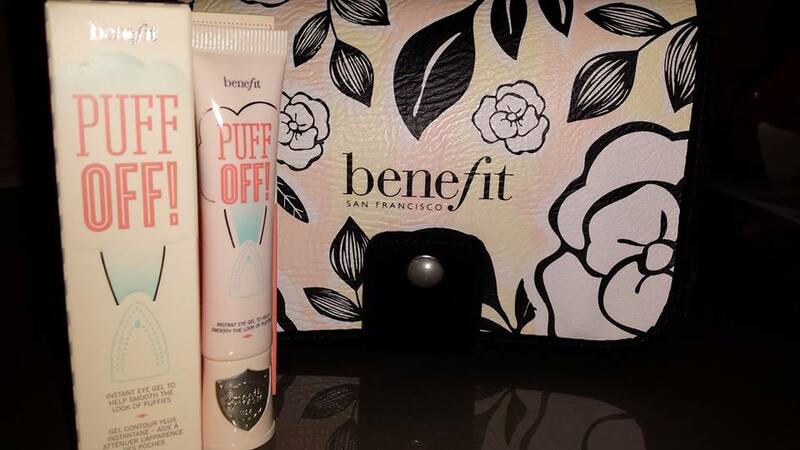 My usual gripe with Benefit is the price – Puff Off is £22.50 for 10mls which sounds steep. I haven’t used it long enough yet to know how long one tube will last but I do know you need very little for each eye. In the meantime though, I’m satisfied. And I look as if I’ve had a good night’s sleep!